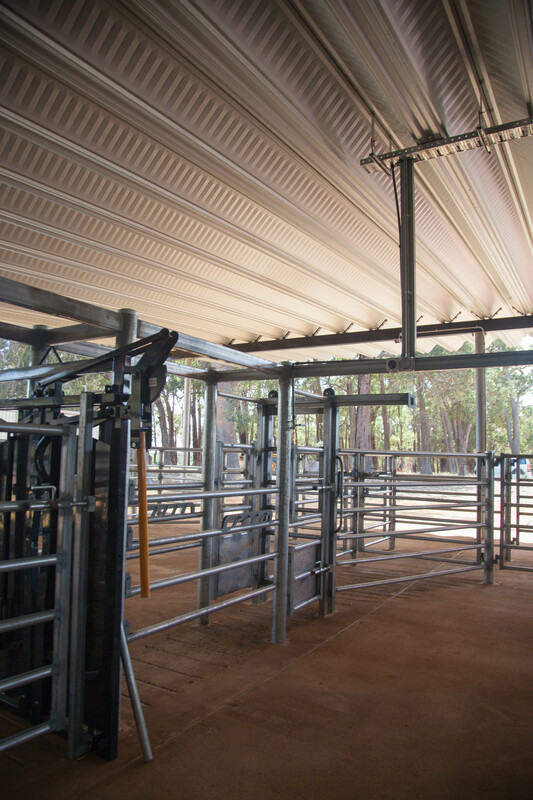 Murdoch University has taken a long-term lease over the heritage listed farming property, Whitby Falls Farm, which is located less than an hour from its major Perth campus. 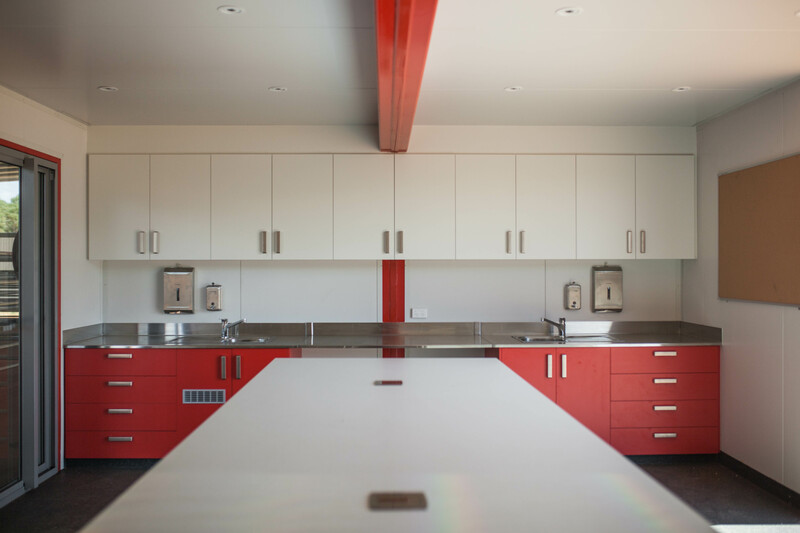 The farm provides the University with strategically important expansion capacity for its Veterinary and Life Sciences School as well as much broader capacity-building potential across all its fields of research and teaching, and most notably in agricultural and environmental research. 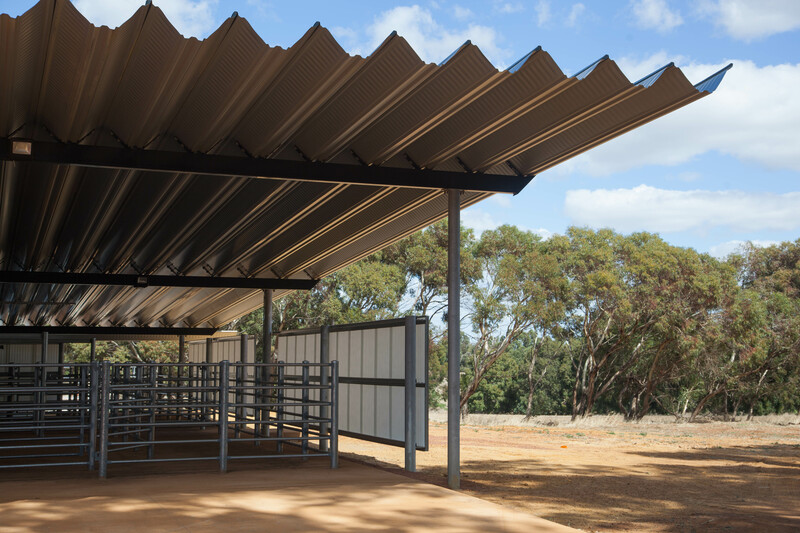 The new Cattle Teaching and Research Centre delivers a robust, materially efficient and environmentally responsive new building that incorporates new approaches to water management and re-use not typically found in agricultural facilities and operations. 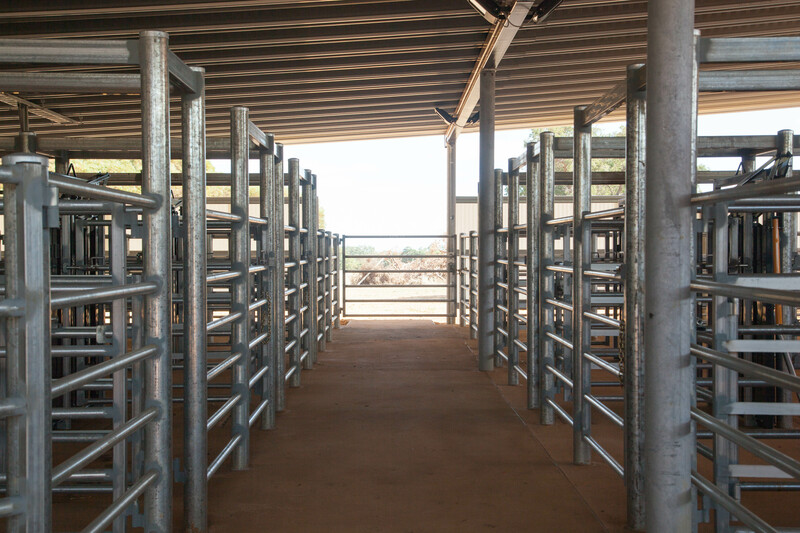 This project reinforces and supports the educational and vocational training value attached to more practical, ‘on-the-ground’ experiences for students – in this case, veterinary science training and, specifically, animal husbandry. 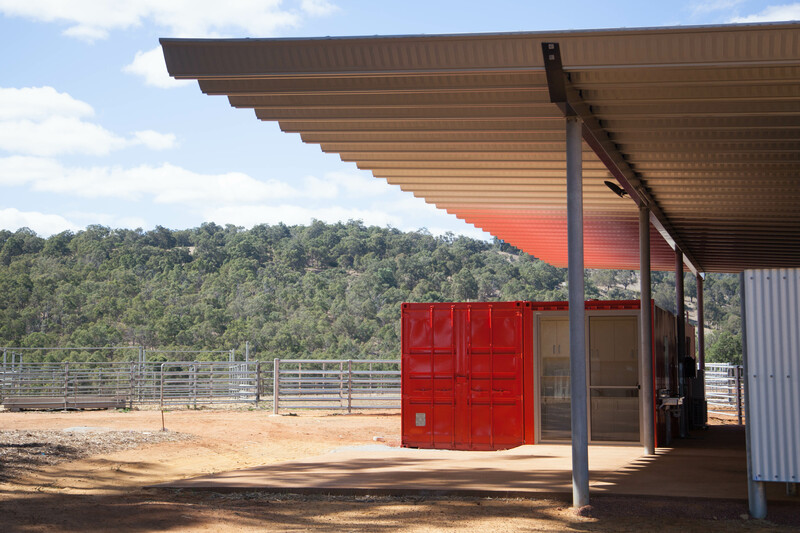 The University also chose to engage an architect to oversee the design and delivery of a rural shed – in itself an act of belief and faith in the value of facility design, even in relation to the simplest and most utilitarian of structures. 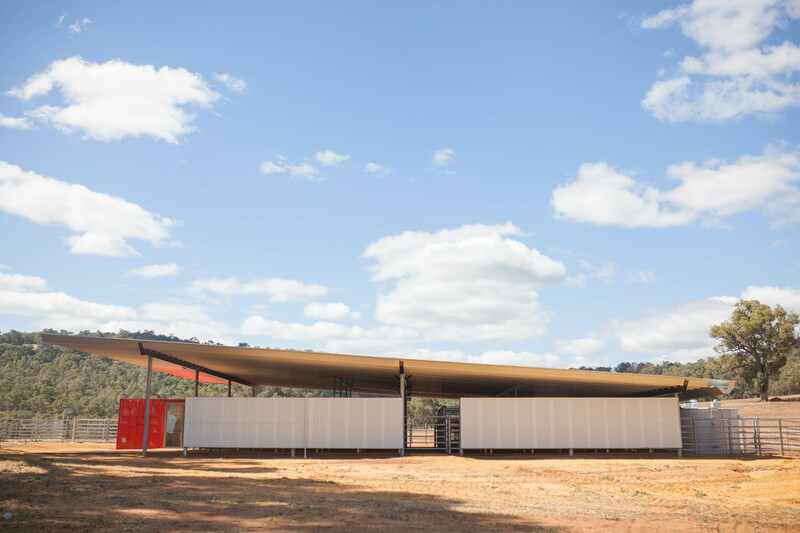 The architects demonstrated design value by focusing on and adopting the classic Australian, bush and bush-shed mentality of ‘economy-of-means.’ This is a very lean and very minimal shed and shelter that also incorporates repurposed and functionally fit-for-purpose shipping containers to accommodate the centre’s laboratory and bathroom facilities. 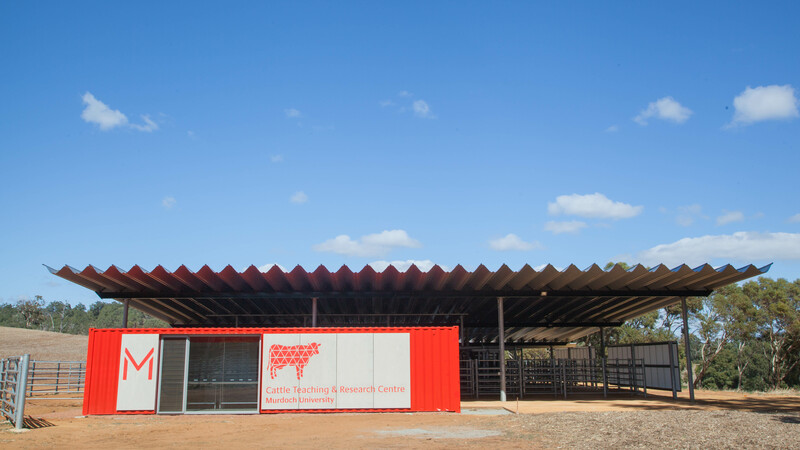 The Cattle Teaching and Research Centre is, in this sense, a classic demonstration project. 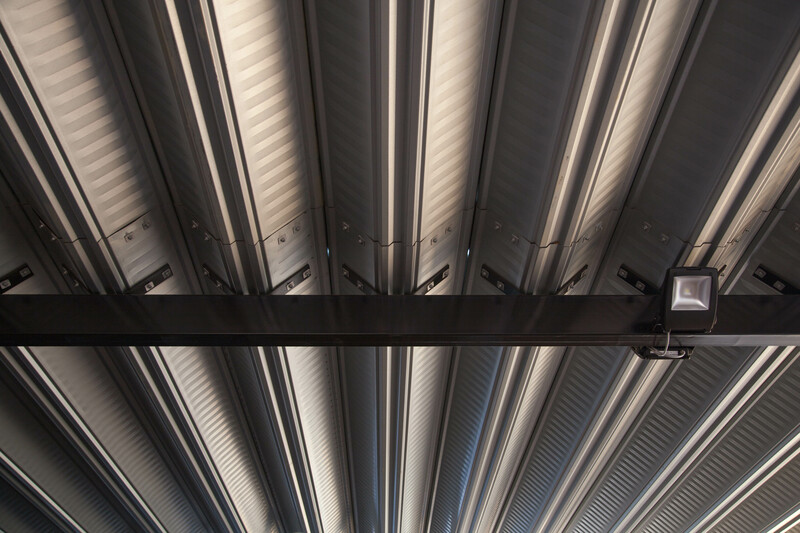 The structurally and aesthetically skinny architecture of the new shed reflects and embodies the innately sustainable ethos that underpins all good agricultural practice.